Will NV Lawmakers Save the ESA? In the wake of last week’s state supreme court decision, Nevada’s ESA is mostly dead. But as Tim Keller of the Institute for Justice noted–channeling Miracle Max–being mostly dead means it is still slightly alive. As I explain over at Cato-at-Liberty, whether it fully revived depends entirely on the lawmakers who won plaudits for enacting it in the first place. On Monday, the Nevada legislature will meet in a special session to consider subsidizing a football stadium. If they have the time to waste on subsidizing stadiums for billionaires, then surely they can find the time to fund ESAs for children who want a better education while saving the taxpayers money. Will Gov. Sandoval and legislative leaders fix the funding issue now–while they have legislative support for the program–and thereby cement their legacies in the history of education reform? Or will they risk having the the next legislature block such efforts, leaving only a legacy of squandered opportunity? It’s their choice. Let’s hope they choose wisely. “Today’s decision is a powerful rebuke to the idea that school choice programs undermine education,” said Tim Keller, managing attorney for the Institute for Justice’s Arizona office, “The Nevada ESA program contains both hallmarks of a constitutional school choice program: parents, not the government, decide where their children go to learn, and the government stays entirely neutral with respect to religion.” The Institute for Justice (IJ) represents six Nevada parents who have been approved for ESAs. ESAs are a cutting edge reform in finding ways to educate a booming population amidst strained state budgets. The ESA program deposits money into accounts controlled by participating parents, who then use it to design a customized education for their children. ESA funds may be used to enroll in private schools, hire tutors, buy textbooks and curricula, and even pick and choose among individual courses at public schools and universities. Following the U.S. Supreme Court’s First Amendment jurisprudence, the judge held that the Nevada Constitution prohibits aiding one religion, preferring one religion over others, or aiding all religions in a manner that prefers religion over non-religion, citing in particular the state constitution’s declaration that the “free exercise and enjoyment of religious profession and worship without discrimination or preference shall forever be allowed in this State.” The Blaine Amendment had prohibited “sectarian” instruction in the public schools, but did not preclude the legislature from enacting religiously neutral programs that would provide funding to families to educate their children in the manner they preferred, whether at a religious or secular institution. Let’s hope the Nevada Supreme Court agrees. CARSON CITY — A state judge Monday put the brakes on Nevada’s education savings accounts, granting an injunction sought by opponents who said it would drain critical funding resources from Nevada’s public schools and is unconstitutional. Wilson said because Senate Bill 302 diverts some general funds appropriated for public schools to fund private school tuition, it violates sections of the constitution. “Plaintiff parents have met their burden of clearly proving that there is no set of circumstances under which the statute would be valid …” Wilson wrote. An appeal to the Nevada Supreme Court is anticipated. Let’s hope the case reaches the state supreme court speedily and that the justices act justly. What “for sectarian purposes” actually means (beyond thinly veiled code for “Catholic schools”) is a matter of dispute. Would that prohibit holding Bible studies at one’s publicly subsidized apartment? Using food stamps to purchase Passover matzah? Using Medicaid at a Catholic hospital with a crucifix in every room and priests on the payroll? Would it prohibit the state from issuing college vouchers akin to the Pell Grant? Or pre-school vouchers? If not, why are K-12 subsidies different? 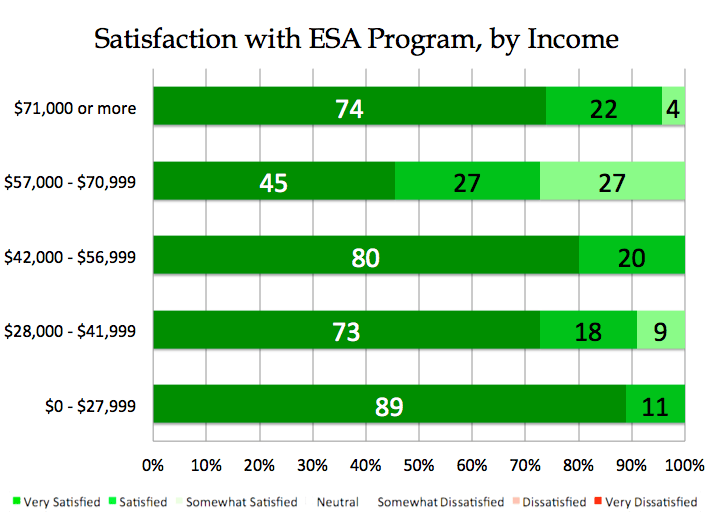 Note that the lowest-income families were the least satisfied with their previous public school and most satisfied with the providers they chose with their ESA funds. Similar results are not guaranteed in Nevada and there are important differences between the programs–when the survey was administered, eligibility for Arizona’s ESA was limited only to families of students with special needs who received significantly more funding than the average student (though still less than the state would have spent on them at a public school). By contrast, Nevada’s ESA program is open to all public school students, but payments to low-income families are capped at the average state funding per pupil ($5,700). Nevertheless, it is the low-income students who have the most to gain from the ESA–and therefore the most to lose from the ACLU’s ill-considered lawsuit. As the rest of the Nation recovers Nevada’s economy still seems to slide further and further into the abyss. Nevada has the nation’s highest unemployment rate (over 14 percent). We also face a significant budget shortfall. The general fund revenue for the state budget is projected to be $5.3 billion for the next biennium – current spending is $6.4 billion. Governor Sandoval has proposed cutting the budget and implementing reforms – most notably for education. Higher education in particular is slated for a 7 percent cut in state appropriations (17.5 percent if you include the lost ARRA federal subsidy). To discuss the magnitude of the cuts the Board of Regents called a meeting on February 3, 2011. After three hours of testimony the only solutions presented were 1) close class sections, 2) reduce enrollment and 3) terminate faculty. Oh no, budget cuts… Again. The relationship between higher education and positive economic growth is “indisputable” claims the state’s higher education chancellor Dan Klaich. Its not at all clear that higher education can help grow Nevada’s economy. Naturally, a more educated work force can be more productive and earn higher incomes. But that assumes we’re actually educating people in the first place. It also assumes that jobs are created just because of education quality rather than a host of other factors. First of all, states with top tier universities like California, New York and Michigan are bleeding residents and jobs. Its not just these three, a host of other states with top universities are also struggling to create jobs and keep residents. Between 2000 and 2008 the combined net migration rate for states with an Ivy League school was -2.5 million. Nevada, with its 3rd and 4th tier universities, had a net migration rate that was higher than the combined rate of all 32 states with a top 100 university. In fact, having a Top 100 University as ranked by U.S. News and World Report means a state also averages a statistically higher unemployment rate (nearly 3 points higher than not having a top 100 university). University officials in Nevada are making a very basic logical fallacy. They are seeing Nevada’s economic struggles (fact) and assuming that Nevada’s low percentage of college graduates (fact) must be a reason why the economy hasn’t diversified and recovered. This fallacy leaves them believing they’re the saviors of Nevada, thus, we can’t cut their budget. Conveniently, they forget the fact that prior to this economic crash Nevada sustained high economic growth, population growth, high income-per capita, and below average poverty rates for DECADES, despite having a “poorly educated” populace. and keg stands than with economic growth. It is especially unlikely that further investments in higher ed will boost Nevada’s economy when the Universities spend so much already and produce very little in return. UNLV spends $19,000 per FTE student and only graduates 48 percent of the full-time students within 8 years. Meanwhile, UNR spends over $34,000 per FTE student and graduates merely 54 percent after 8 years. At the Regents meeting I pointed out that UNLV and UNR spend more money per-pupil and employ more adults per-pupil to do the same job. According to Dr. Jay Greene’s report “Administrative Bloat at American Universities” both UNLV and UNR grew their employees faster than the student body between 1993 and 2007. UNLV saw inflation-adjusted spending per-pupil rise 59 percent while UNR saw spending rise 21 percent. According to the U.S. Department of Education, UNLV’s inflation adjusted credit-hour costs have risen 90 percent while fees increased a whopping 771 percent over the last decade. At UNR the increase was 80 percent and 290 percent respectively. How can anyone consider UNLV or UNR to be a wise investment? Spending more and more money to employ more adults to do the same shoddy job will not grow our states economy. At best it will do nothing at all. At worst, it may actually retard or reverse economic growth. My two minutes of comment were up at that point, but the damning facts keep piling up. The Lied Institute at UNLV released a rather shoddy report calling for more “investment” in higher education, pointing two Arizona and Utah as states to emulate. 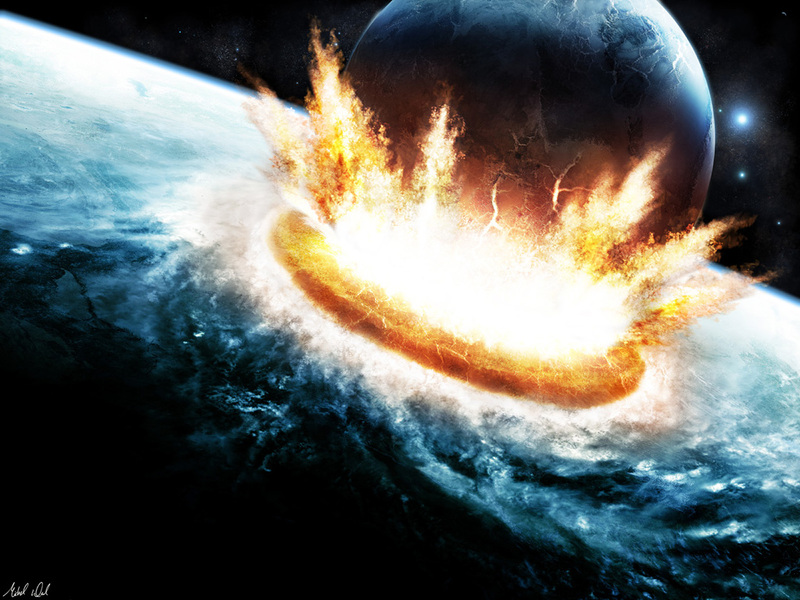 I’ve blasted the report to pieces here and here. Failing to conduct even the most basic literature review or even analysis on state spending, the Lied Institute researchers failed to notice that Nevada already spends more on education and research per-pupil than Utah and Arizona (see figure 11 on page 29). In particular the Lied Institute researchers and Brookings Institution Mountain West have called on lawmakers to emulate Arizona State and the University of Utah. ASU spends $28,000 per-pupil on “Education and General Expenditures per FTE” according to the Education Trust. That is $6,000 less than UNR, Nevada’s flagship university. As much as Arizona State is made fun of for their low-quality, they spend less and graduate more of their own students than UNR. The University of Utah does in fact get the lion’s share of resources in Utah – spending over $50,000 per FTE. Embarrassingly, their 6 year graduation rate is 51 percent. They make Arizona State – a university lampooned by everyone including SNL and the Daily Show – look like Harvard AND a bargain. Worse still may be the quality of, at least some, of the faculty in Nevada. One professor employed at the University of Nevada – Reno wrote me via Facebook to accuse me of believing what I do because I’m paid to believe it. Of course he “believes with all [his] heart in the mission of the university” and is “proud of [the university’s] progress” and success. After pointing out the irony – he has called for higher taxes to fund his own employer where he makes $143,000 a year – I asked him exactly what the university’s mission was and what does he mean by success. Just 12 percent of UNR’s students are considered low-income (Pell Grant recipients) and just 11.6 percent are underrepresented minorities (white non-Hispanics make up just 56 percent of the population in Nevada and less than half of the K-12 student population). I wondered if the mission was to spend $34,000 a year to graduate half the students within 8 years – the vast majority of whom were middle/upper class and white. Nevada needs to rethink the higher education paradigm because being bloated, wasteful and ineffective is no way to grow an economy.